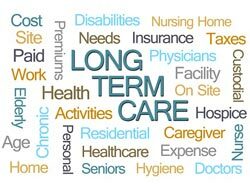 For most people, long-term care insurance is a must. Purchasing insurance for long-term care can be helpful for reducing spending money out of pocket and protecting assets. There are still some roadblocks to purchasing long-term care insurance that many people face, including the affordability aspect. In order to purchase insurance for long-term care, you must first be able to fit it into your budget. That sounds simple enough, but there are many policies out there that people take on initially only to realize that they’re not going to be able to carry it through because of its high price tag. Financial planners and elder care attorneys can help you find policies that fit your specific needs while also ensuring that you’re able to pay for that insurance for the rest of your lifetime. The other question is, at what age should you be to purchase long-term care insurance? The younger you are, the lower your insurance premiums will be. Because it’s impossible to know when you’ll need your insurance (someone who’s 55 may not need it until another 25 or 30 years), it can be tricky to know exactly when to purchase a policy. Many professionals recommend, however, that people begin as early as possible, at least up to retirement age, to start planning for long-term care. Long-term care can get pricy, especially if you don’t have a set plan in place. Long-term care planning should occur years before you or your family members actually need it, but keep in mind that it’s never too late to start the planning process. 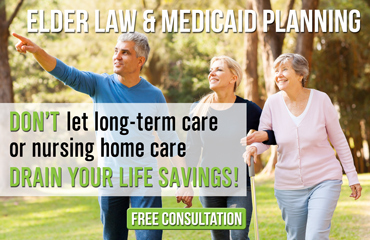 The Elder Law Firm PC has been helping Michigan residents plan for their long-term care for a number of years, and we can help you discover the best options for you and your loved ones. If you have a question regarding long-term care and want to separate fact from fiction, feel free to call us at (877) 933-7252 to learn more. Residents in the Grand Rapids area can also attend a free seminar led by attorney The Elder Law Firm PC several times a month. Each seminar teaches you the basics of Medicaid planning. Call to reserve your spot at this exciting and informative event.